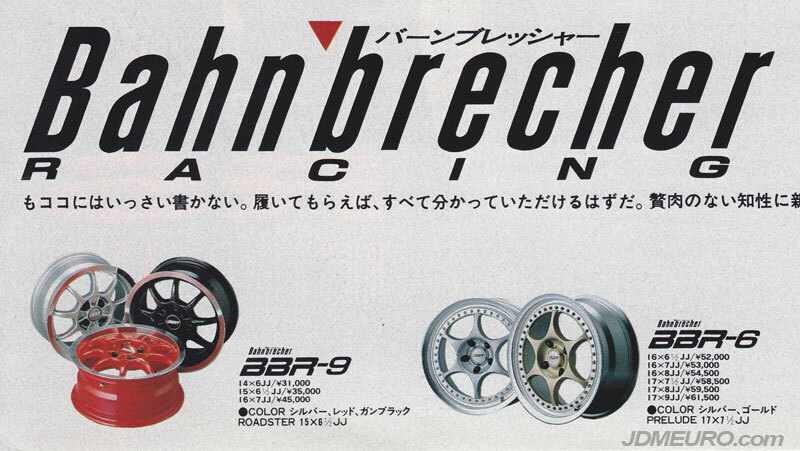 BBR Racing, more formally Bahnbrecher Racing, from Japan has been known to produce only a selection few JDM Wheels. The is a 2 piece wheel with a nice and simple 6 spoke design as the name implies. 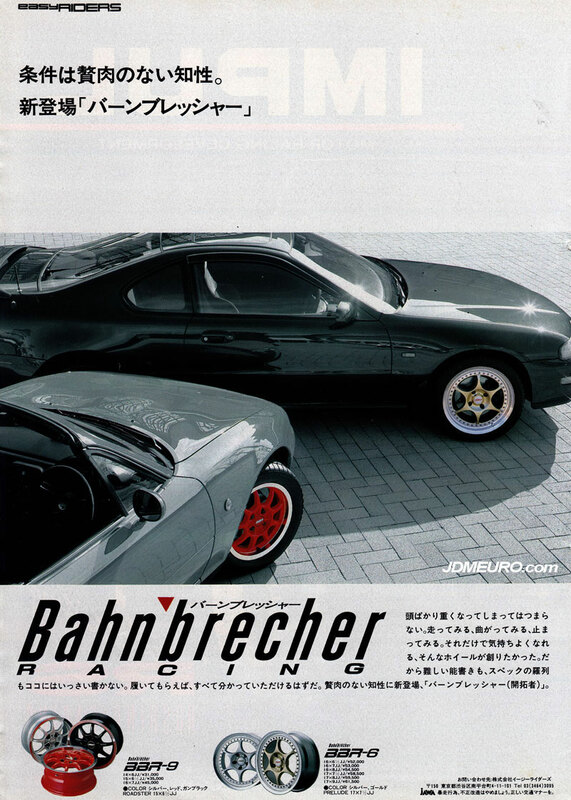 Picture above are fitted on a Honda Prelude. The BBR-9 is a lightweight 1 pice wheel with a 9 spoke design and are fitted on an NA Mazda Miata. Both styles are actually manufactured by Enkei Wheels.